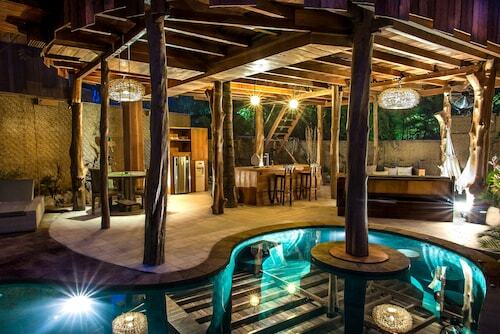 Let Wotif ID The right accommodation option in Gili Islands. We offer 116 places to base yourself within easy driving distance of Gili Islands' centre. Sleeping way out on the edge of town can be a real time-sucker. Luckily, we offer some awesome accommodations within a kilometre of Gili Islands' central area, such as the Trawangan Dive and Bale Sampan Bungalows. 7 kilometres away from the main part of Gili Islands is the Anema Resort Gili Lombok. The Akasia Villas is located 4 kilometres away. 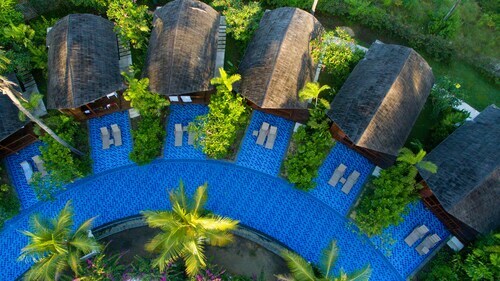 Alternatively, check out the amenities and rates at the Jiwa or the Hotel Tugu Lombok. Looking to venture further afield? You've picked the right place! Nusa Tenggara offers many other things to see and do. Nusa Tenggara offers beaches, rainforest and extinct volcanos, as well as common Nusa Tenggara tourist attractions like the traditional villages, churches and temples. Common pastimes in this particular part of Indonesia include shore fishing, beach combing and sunbathing. Looking for things to do? Spend the day enjoying the Mayura Temple and Park and Mataram Mall, which you'll find in Mataram, 30 kilometres to the south of Gili Islands. Some of our recommended Mataram hotels include the Hotel Puri Indah & Convention and Golden Palace Hotel Lombok. 70 kilometres to the southeast of Gili Islands, you'll also find Kuta, home to the Novotel Lombok Resort and Villas and Kuta Indah Hotel. The Kuta Beach, Pantai Seger and Serenting and Torok Bare Beach are just some of the more popular sites to experience in Kuta. Lombok International Airport is the most commonly used airport and can be found 50 kilometres from central Gili Islands. Conveniently located hotels are the Grand Royal BIL Lombok and the dpraya Lombok Hotel. How Much is a Hotel Room in Gili Islands? 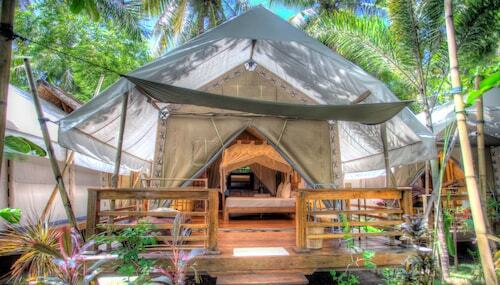 Hotels in Gili Islands start at AU$44 per night. Prices and availability subject to change. Additional terms may apply. Pretty true to the pictures, not flash but comfortable. Pool is huge but rather warm.